GL5 5JG. It is fixed to the wall, to the right next to the stained glass window. Note the trench art shell case filled with silk poppies. The plaque underneath the cross commemorates Sir Fabian Ware, founder of the Imperial War Graves Commission, now CWGC. His grave is in the cemetery opposite the church. 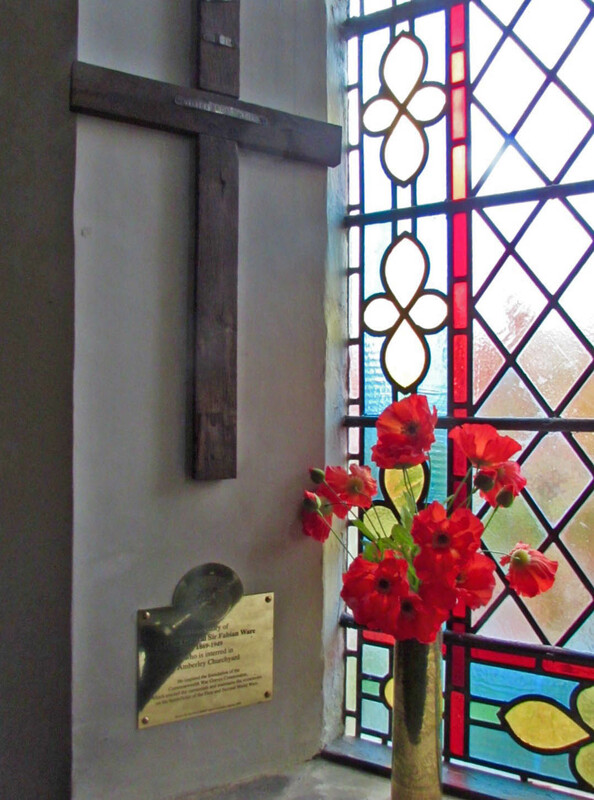 In 2008, the Amberley Branch of the Royal British Legion commissioned a small brass plaque in his memory, which was dedicated at the Remembrance Day service that year, and unveiled by Sir Fabian’s great-niece, Isobel Ward. It is positioned underneath his wooden cross. Thanks Jane, an excellent detail. 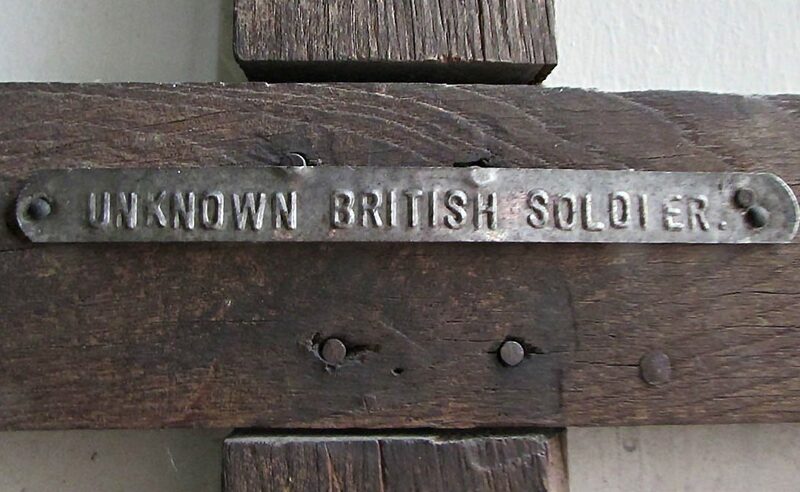 Not the first we have seen presented by Fabian Ware, so there must be something to this and in particular the Unknown British Soldier Markers, it seems they may have come from IWGC/CWGC.